At Henseler & Kocian Orthodontics, our mission is to help each of our patients achieve a beautiful, healthy smile – and sometimes, that process is best started early. As leading orthodontists serving the Woodbury and Stillwater areas, we offer early treatment only when necessary. While most of our patients are teenagers, in some cases, the best way to achieve a great smile is to start during childhood with early orthodontic treatment. Early orthodontic treatment isn't right for every patient – in fact, most kids we evaluate are not ready to begin treatment. That said, in some cases starting orthodontic treatment early can help improve the growth and development of the teeth and jaws. By influencing this growth, we can easily and painlessly create changes that can require surgery to address later in life. So when exactly does early treatment start? The answer to this question will change from patient to patient, but one thing's for certain: all children should have their first orthodontic evaluation at age 7. 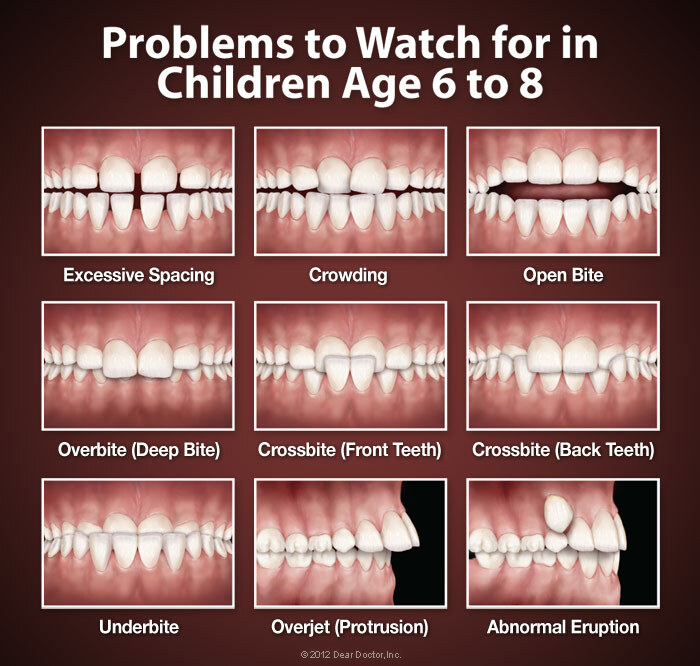 At this age, important permanent teeth have erupted, which allows your orthodontist to evaluate the developing bite. With this examination, we can spot any current problems as well as those that may arise in the future. This allows us to decide together when treatment would best be started. Dr. Henseler and Dr. Kocian will clearly explain why your child may or may not benefit from an early orthodontic treatment. What Conditions Can Early Treatment Correct? Crossbite: This condition, characterized by the lower teeth sitting outside of the upper teeth, is much easier to correct with early treatment. Using a device called a palatal expander, we can widen the upper jaw and fix crossbite without the need for more extensive treatments. Crowding: When teeth are overcrowded in the mouth, we can again use palatal expansion to widen the jaws and create more room for the teeth, solving the crowding problem and allowing permanent teeth to erupt naturally again avoiding more invasive treatment. Upper Front Teeth Protrusion: Sometimes, early treatment is a protective measure. In cases where the upper front teeth stick out too much, we may use early treatment to bring them back in line to protect them from chips, fractures, and damage. If a patient suffers from a deep overbite or underbite, early treatment can be used to correct these problems as well. Another reason for early treatment is to correct a number of parafunctional (unhealthy) habits that some children develop. 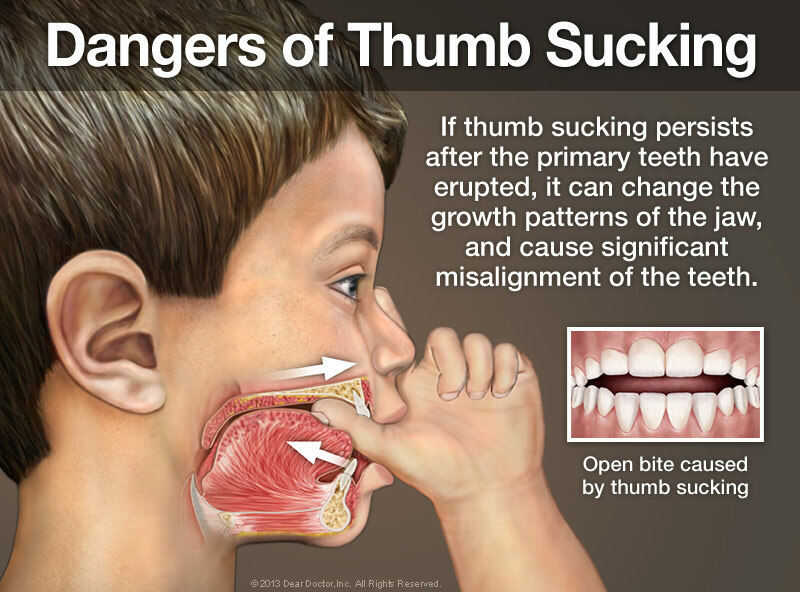 Prolonged thumb sucking or finger habits past age 4 can cause changes in the alignment of the teeth over time, producing a malocclusion called an open bite. Painless orthodontic appliances can stop habits and prevent the need for more extensive treatment. 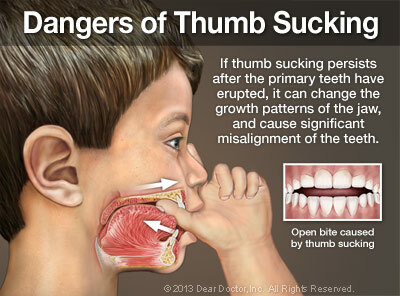 One other common problem in children is mouth breathing, which occurs when a child always breathes through their mouth. While this may seem harmless, it can change the development of the jaws and teeth. Depending on the underlying cause, we can use orthodontic appliances to help a child improve their breathing and correct the issue before it causes further problems. Early treatment isn't right for every kid, but in some cases, it offers the best choice for a developing bite. If you're ready to schedule your child's first examination or you think your child may benefit from early treatment, we would love to speak with you. Contact us today to learn more about early orthodontics or schedule an appointment. We're excited to help your child develop a beautiful, healthy smile!